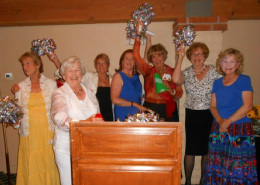 Soroptimists are women of all ages, cultures, and ethnic groups. They are moms, married women, single women, small business owners, corporate executives, attorneys, teachers, and physicians. The common thread that connects all Soroptimists is their desire to make a difference for women. Each club represents a wide range of occupations. To be eligible for active membership, a woman must attend two meetings and fill out this application form. To contact us about attending dates and location click here. and girls locally and globally. Contact our Membership Chair, Ronda Landrum, for more information at soroptimistlj@gmail.com. Working on projects that improve the lives of others leads to personal satisfaction and recognition from the community. Cultivating relationships with other women who have similar interests and values is a central aspect of Soroptimist membership. Meeting and learning about women from different ethnic and cultural backgrounds, and participating in projects that address the needs of women throughout the globe, contributes to world peace and understanding. Developing skills at the club level results in enhanced professional capabilities as well as leadership opportunities at all levels of the organization. 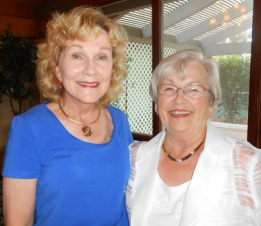 Reaching out to women at the beginning of their professional lives provides an avenue for Soroptimist members to serve as mentors. Belonging to an association with organized programs and professionally developed resources frees members from administrative constraints, while enabling them to concentrate on providing volunteer service. Joining Soroptimist provides access to additional benefits, such as: several insurance options; low–interest credit card; and a subscription to Soroptimist International of the Americas’ award–winning magazine. Soroptimist International, headquartered in Cambridge, England, has consultative status with the Economic and Social Council at the United Nations and is a recognized authority on matters that women value most. Visit www.soroptimistinternational.org for complete information on current projects. Read Soroptimist International's magazine, The International Soroptimist. Headquartered in Philadelphia, PA, comprises 28 regions with more than 38,000 members in approximately 1,400 clubs in 19 countries. Headquartered in Cheshire, England, comprises more than 11,000 members in 398 clubs in 30 countries. Headquartered in Geneva, Switzerland, comprises more than 33,800 members in 1,220 clubs in 67 countries. Headquartered in Sydney, Australia, comprises more than 2,650 members in 138 clubs in 12 countries. and someone from the club will follow up with you!